The TV industry is ripe for disruption, and it's holding on for dear life. The traditional content producers (studios) and the cable companies are holding on to that old business model till the last dollar is squeezed out of it. Unfortunately for them, the market is starting to dictate how things will play out. Just as the music industry was made to adapt, the television industry will have the same fate. Whether it's Twitter lighting up when Scandal is on or a beloved TV series getting a new life on Netflix, we will become more immersed in social media-connected viewing, and we'll watch what we want to watch, when we want to watch and from any device we want to watch—no more cable bundles and set show times. 1. Content First. Before anything else, the church needs to provide content for the channel. 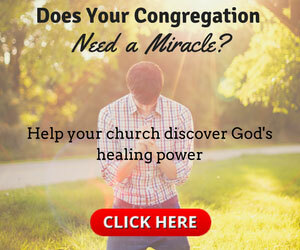 Every week the church generates quite a bit of content ranging from the pastor's sermon, praise and worship, the church experience and a variety of behind-the-scenes videos that could populate an Internet TV channel. Now don't limit yourself to just churchy content. While sermons are great and very inspirational, for an opportunity like this the church has to think bigger and create all kinds of content for viewing on this channel. 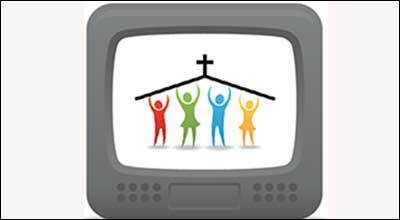 The opportunities for Internet TV are endless, but the successful churches will likely go beyond merely televising their church service. One of the great options we utilize at The Potter's House in Dallas is to take every video we already supply to our YouTube channel and put it on our Internet TV channel. 2. Count the Cost. The second thing your church needs to consider is price. Previously, it could cost upwards of $50,000 per week to run on a traditional television station like TBN or Church Network. That much cash and you didn't have the tools to fully analyze your viewing audience. Roku: The first platform (and best one in my opinion) is Roku with an audience of 10 million viewers and a price range of $49 to $99. This platform is based on the Roku box or the Roku HD streaming stick that you can connect to your HDTV and choose a channel from the numerous ones available in the Roku app store. A quick search for "church" shows how many churches have already rolled out their own channel. Amazon Fire TV: Another platform is the recently released Amazon Fire TV. This platform is based on the Amazon Fire TV box and has an audience of around 2 million viewers and growing due to the backing of Amazon.com and a price of $99. Like the Roku device, the Amazon Fire TV has an app store, and numerous channels can be downloaded. And that's just the beginning. More platforms are rolling out in the future, including Apple TV and Microsoft Xbox. Now let me get more specific on how we implemented our Internet TV channel. Instead of building the channel ourselves, we chose a cloud-based software to streamline the process. The provider we choose was Streamotor, and I have created multiple channels with this organization. Their setup, delivery and service are very good.